Yesterday, i got myself a new guitar. 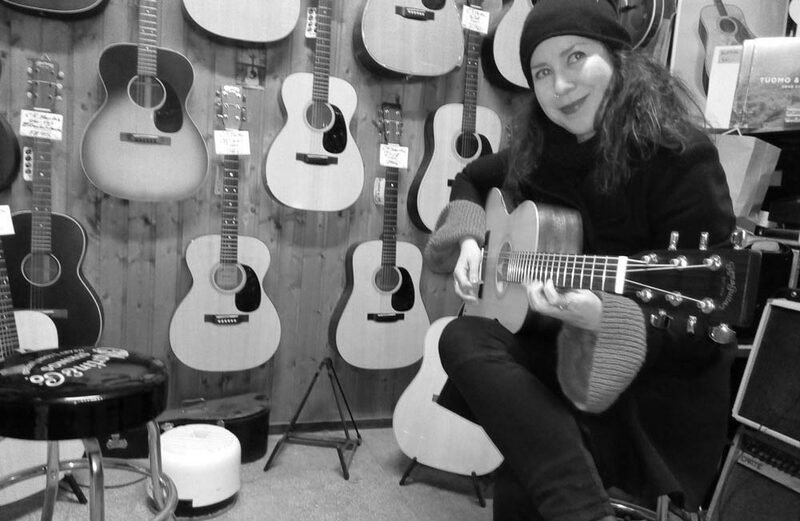 Roni, the guitar player who recorded on my latest album, had recommended i check the Sigma acoustic guitars. It was a precious advice. And this is how one of the many dark days in my life in Helsinki suddenly brightened. Funny how moody days can shift like that. 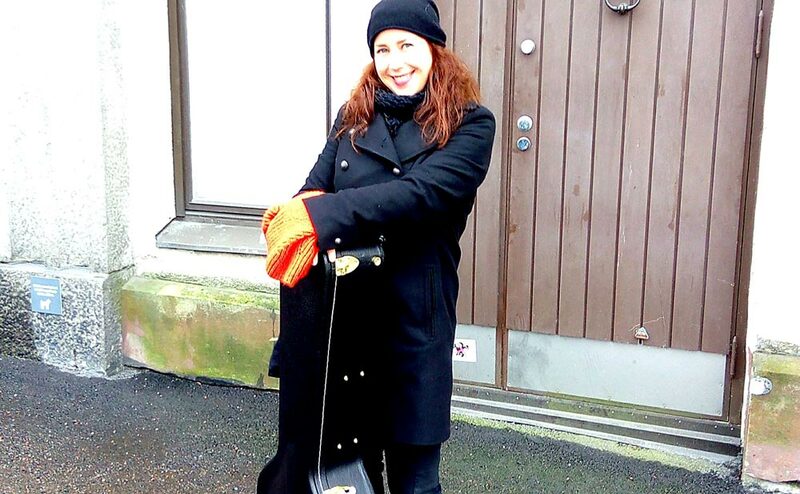 Carrying my new guitar in a stylish velvet-filled case, i then walked toward a German restaurant which i knew from years ago, when i recorded “Precious Moment” for Spinefarm. Paavo and i were welcome by a man with a big stomach and a german accent and, following his lead, we discovered a gigantic brunch made of blinis – on the week of Carnaval in Helsinki, many restaurants sell blinis, which i’m thankful for  – different styles of sausages, chanterelle soup, vegetables, salmon, spaetzels, bretezels and several deserts to go with coffee. Paavo ordered a Paulaner beer while we listened to a woman playing traditional tunes from Bavaria on an accordion. Back home i sat on the floor and i took a closer look at my new friend. Her wood might be less shiny than the wood on her more expensive siblings, but she looks beautiful to me anyway. I started playing her and the sound soon carried me away to a much lighter and sunnier place. How powerful the spell of music! I played for a long time. Paavo threw a couple of coins in my case as a joke and i smiled widely. 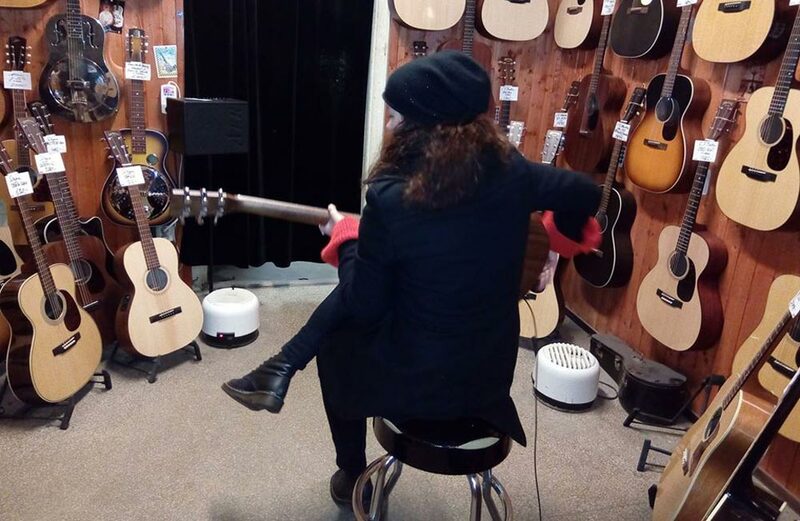 I realised that i had not enjoyed playing the guitar this way in a very long time. In fact, i had lost interest in this instrument years ago, rather focusing my attention on violins, cellos and keyboards. 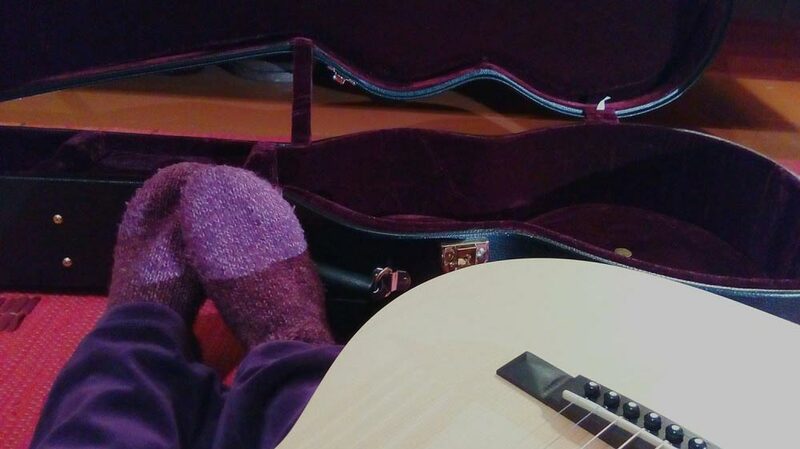 It felt warm that the guitar and i had renewed our friendship this way. Tonight, i am sitting at my desk, in my house situated in the neighbourhood of Kallio and i’m writing this article for a new brazilian website dedicated to rock music called Rockarama. My friend Ricardo Campos asked me if i would agree to share some of my life and musical experiences via articles for his website. I decided i would gladly be sharing with him and with you, readers, and fellow music & life-lovers, wherever you are and for as much as i can. This beautiful week-end is now coming to an end. Tomorrow a busy week starts again. My name is Aurélie Potin Suau. Some of you might know me under my artist name Eilera. Welcome to my bubble.